Postcard NL-2915866 from the Netherlands shows a surfer drops into a powerful wave near Westcliff Drive in Santa Cruz, California. Autumn and winter storms in the North Pacific Ocean generate frequent large swells along the Central and Northern California coastline. Santa Cruz, 75 miles or 120 kilometers south of San Francisco, is a beach resort community with a population of 62,864 as of 2013 and home to the University of California, Santa Cruz, a premier research institution and educational hub. 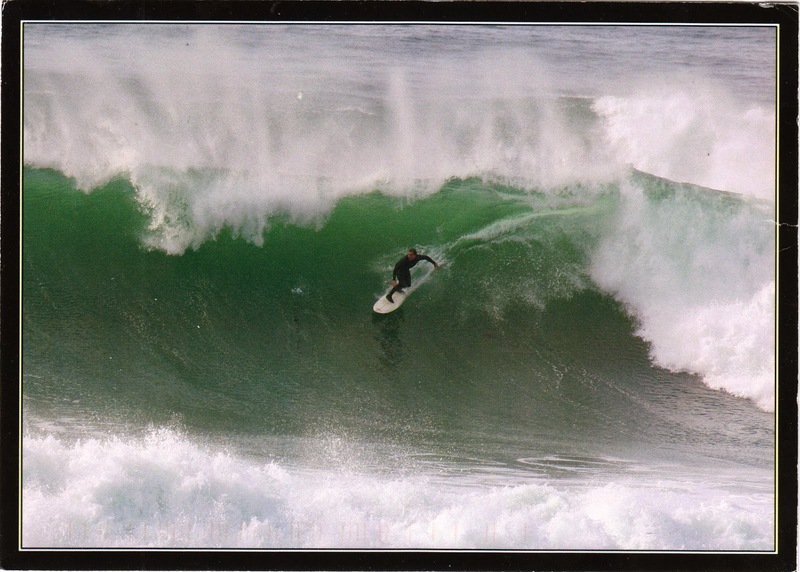 Separately, Garrett McNamara, an American professional big wave surfer, was featured in a previous blog.